SHREK THE MUSICAL JR is presented through a special arrangement with Music Theatre International (MTI). All authorized performance materials are also supplied by MTI. 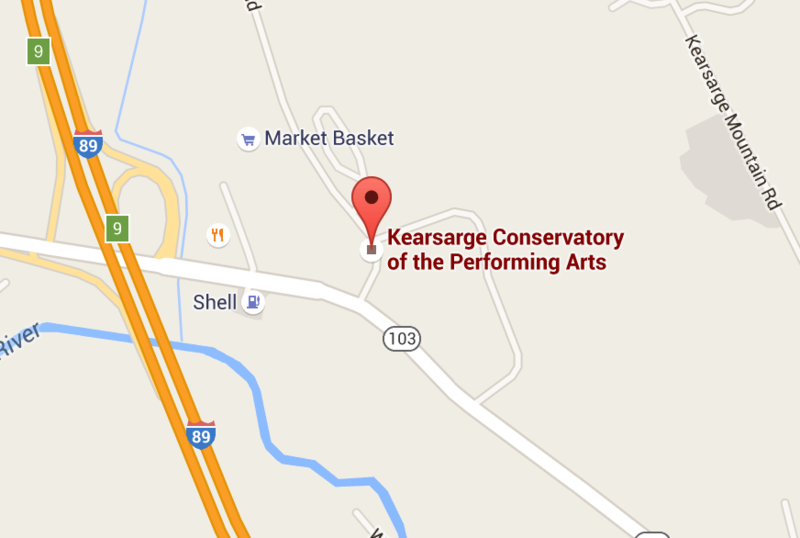 KCPA will have three performances this year at the annual Warner Fall Foliage Festival! Come join the fun and support KCPA and our community on Saturday & Sunday October 8th and 9th. Marching and Dancing in the Grand Parade 1:00 p.m. The KCPA Holiday Show 2016 Auditions/Workshop will be held from August 20th-26th. Our version of The Snow Queen includes all of the Performing Arts: dance, acting, singing and even tumbling! Angela Tarleton has adapted the script from the original story by Hans Christian Anderson with as much authenticity as possible. She combines her original script and music (co-composed by Kim Nichols) and the haunting music of Randall Michael Tobin to breathtakingly tell the story of best friends separated by an evil Queen. Join the cast of this wonderful family-friendly production of danger and intrigue, and the bravery and unconditional love of our little heroine, Gerta. The Workshop will run August 22nd-26th from 9:00am-1:00pm at the KCPA Studio. Ongoing rehearsals will be Saturday Mornings. 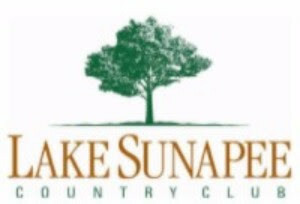 Join Us for Sleeping Beauty - Saturday July 16th 4:00 p.m.
Come join us this Saturday at the beautiful Lake Sunapee Country Club Pavilion for our enchanting original production of Sleeping Beauty. This Gala Performance of our Drama Intensive students will delight audiences of all ages. Bring your blankets or lawn chairs and your imagination as we travel the realm of this classic fairy tale. Admission is Free but if you would like to make a donation to help support our ongoing scholarship fund there will be a basket available for your contribution. We are delighted to be able to perform in your beautiful garden area. Your support of the arts is very important to us. It’s really out of this world! Come enjoy our Contemporary Ballet Act I with both hilarious and beautiful moments in choreography. 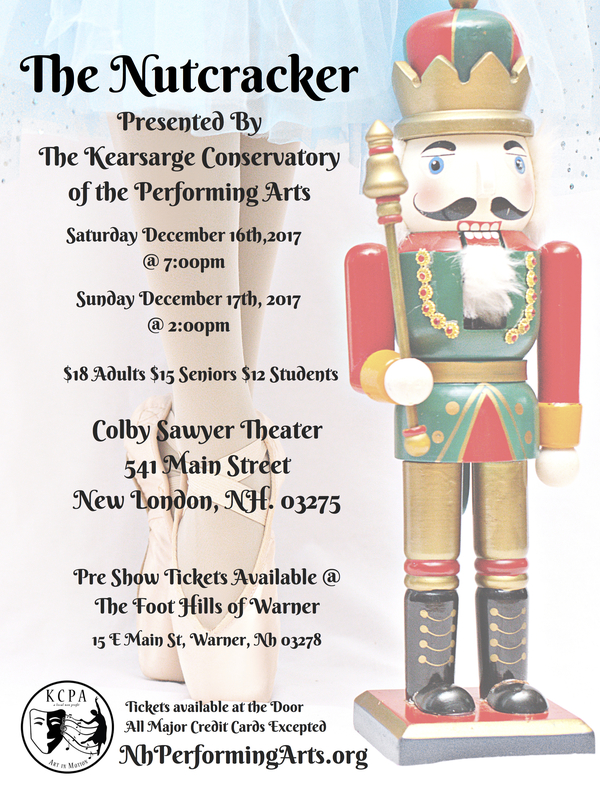 Then experience all the other wonderful venues that KCPA has to offer with specialty pieces from our Performance Company, Art In Motion in Act II, and then all our wonderful students in The Variety Show Act III. Saturday June 18th 2:00 p.m.
KCPA’s 2018 Spring Show is just around the corner! Here is some important information for parents and performers. Please be sure to read through it carefully, and to download this information to your computer or device so you have it handy! Download this information in PDF Format below. Sunday June 18th 2:00 p.m.
Tickets will be available for online purchase on TUTU TICKS coming soon! The following times are a guess on time needed. Since it’s the first time we will be putting everything together rehearsal might run longer so I thank you for your patience in advance!  Dance Company is required to help with as much parent participation as possible, please. Parents & Students: please download the Hair & Make Up Guides listed below. Please be sure to read the documents carefully and only purchase the items listed. If you have any questions or concerns, please contact Miss Angela directly. Parents & Students: please download the Costume Guides listed below. Please be sure to read the documents carefully and be sure you have all of the items listed. If you have any questions or concerns, please contact Miss Angela or Miss Kristi directly. The 2016 Spring Show is coming soon! 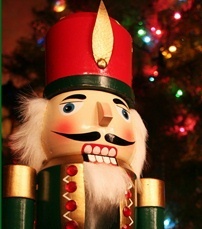 Tired of the same old Holiday Shows? Looking for something new and exciting? Then this is the show for you! Inspired by “A Christmas Carol”, this original show brings spirits and surprises to a new height. Tired of the same old Holiday Shows? Looking for something new and exciting? Final performance Sunday 7th 2:00 Matinee Don’t miss this Standing Ovation Performance! Inspired by “A Christmas Carol”, this original show brings spirits and surprises to a new height. Our spirits are not what you would expect. Come experience for yourself the classic dancing, singing and acting entertainment you expect from our Directors: Angela and Kevin Tarleton and Michelle Gosnell. We will warm your heart with humor and poignant moments in the manner of Charles Dickens. Get into the Christmas Spirit today as we bring you new vocal music by Jonmichael Tarleton, dance music by John Pryce-Jones and Michael W. Smith as well as classical Christmas Carols. THANKS TO ALL WHO HELPED WITH MAYFEST THIS YEAR IT WAS WONDERFUL! Mayfest Concert in the Park New London NH May 25th from 2:00-7:00 p.m on the Green New London, NH. Presenting Art In Motion – Dance & Music! Performance approximately one hour followed by a Q & A with the performers. Kearsarge Conservatory of Performing Arts presents “Art In Motion” a montage of dances from the repertoire of their Performance Company, under the direction of Angela Tarleton, and songs from the repertiore of their advanced Private Voice Studio, under the direction of Michelle Gosnell. Followed by a reception. For More Information: Click on Contact us! Photos of our annual Christmas Children’s Show THE GINGERBREAD MAN! Just one of the community events we participate in giving our students & community members a chance to perform & further hone their gifts! Calling all Actors, Dancers and Singers of all Ages! Auditions for all new performers will be held Saturday, August 17th. Workshop is August 19th -23rd and Saturday mornings until the show. DETAILS: Auditions will be held by appointment only for new performers. If you are unable to make this audition date please contact us for an alternate date. You will need to audition for the venue you prefer: Acting, Singing, Dancing or all three! Actors will do a cold-reading from the script. Singers and Dancers need a prepared piece (2 minutes) and must provide your own music (either a live accompanist or CD/MP3). Call for your appointment! The workshop Cost only $100 for Cast Members 1st grade and up and $50.00 for Kindergarten & Pre-Schooler’s and a $30 costume rental fee. 9:00-12:00 Sr. Company 1st Grade & up. Solosits 9:00-1:30. Monday-Friday Jr.Company 9:00-10:30 Pre-School & Kindergarten M-W-F. Actors Tuesday & Thursday mornings 9:00-10:30 & evening rehearsals 5:30-7:30 M-W-F.